I can see why this campground is rated "top 300 among 12,000" ! It is clean, well-kept, landscaping is beautifully maintained, with all the amenities you'd want (except cable) and lots of space. All pads are concrete and many have trees planted by the owners. It's a family business, so that accounts for the obvious pride they have in their business. Will stop again on our way back home. Good Find! 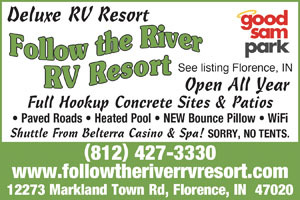 This is an OUTSTANDING RV Park!! I would HIGHLY recommend the campground! Very friendly, helpful, level sites, I really enjoyed our stay there! I will stay here again whenever we are in this area again! Big Rig Friendly for sure. Out the of way campground but, nice big sites. No shading, but long pads in good condition. Sewer connection was up too high to ground elevation. And located a bit too far to the rear of the site. Not very busy when we were there. Not much to do in the campground other than the pool. Near the Nascar Racetrack, otherwise not much to do in the immediate area. We used it as a base to do day trips. First impression was outstanding. Site was long enough to fit my 33 foot camper with room to spare in front and back. Was able to lower rear door to off load motorcycle without being in the middle of the road. Site almost perfectly leveled so no wasted time setting up. First time ever. Bathrooms/showers are adequate, but drain very slow causing overflow into the dressing area. Appearance could use a little paint and flooring. Would stay here a gain. The laundry room and restrooms hadn't been cleaned in a while. The men's room was closed "being remodeled". This was our 2nd year staying at FTR, was there July 4-9. The staff is very friendly, and the amenities are great . Will be returning again next year, you should pay them a visit, you'll be glad that you did. FTR is one of our favorite parks. The workers are all genuinely nice and this park makes camping easy, as the sites are all large, level, and concrete. Easy access from I75 and a nice winery and casino right down the street. A great place to stay overnight or for several nights. 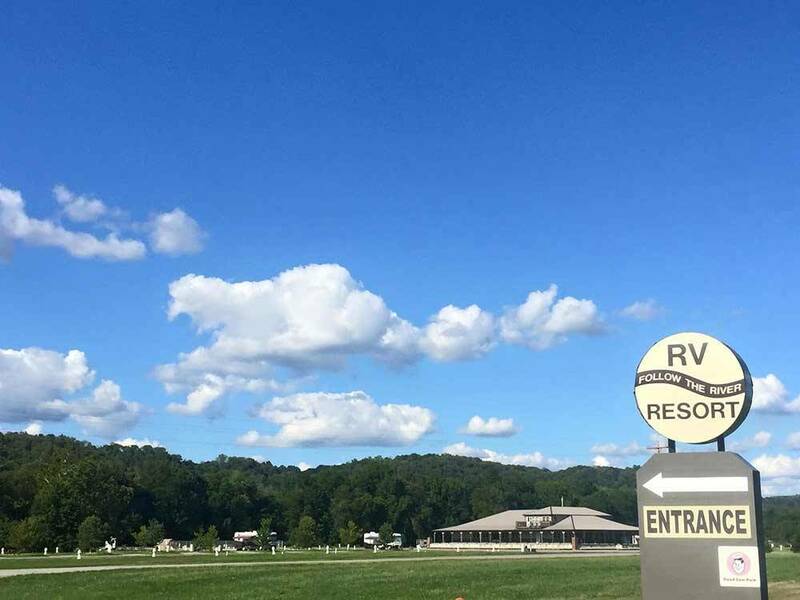 We stay 3 or 4 times a year one of our favorite campgrounds, sites are level, staff is friendly and helpful, we stay there for nascar races at Ky Speedway.